PGPM: Post Graduate Programme in Management is a two-year full-time course offered at MDI Gurgaon. The PGPM course is spread across six terms, that is, about three months each followed by a summer internship. PGP-HRM: Post Graduate Programme in Human Resource Management is a two-year full-time course offered by MDI Gurgaon. 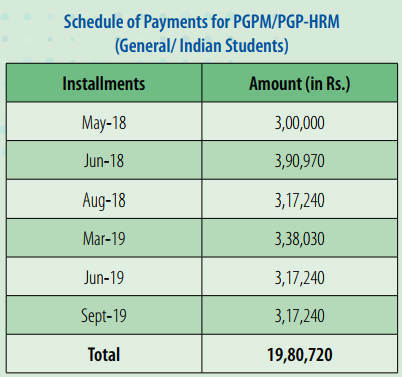 The PGPHRM course is spread across six terms, that is, about three months each followed by a summer internship. PGP-IM: Post Graduate Programme in International Management is a two years programme. MDI Gurgaon has made a partnership with ESCP Europe which has five campuses namely, Paris, London, Berlin, Madrid and Torino. The first half is spent at MDI Gurgaon and the second half at all the five campuses of ESCP Europe. MDI Gurgaon MBA Admission is also open for the Foreign Nationals/NRI/PIO through GMAT Scores. MDI Gurgaon also offers part-time MBA. Nationality: For all the three Post Graduate Programmes, the candidates must be Indian National and Foreign Nationals/NRI/PIO are eligible. The candidates must have obtained at least 50% marks or equivalent CGPA in both Class 10 and 12. The candidates must have minimum 3 year’s Bachelor’s Degree with at least 50% marks or equivalent CGPA in any Discipline from any University incorporated by an Act of the Central or State Legislature in India or other Educational Institutions established by an Act of Parliament or declared to be Deemed University or possess an equivalent qualification recognized by the HRD Ministry. The Bachelor’s Degree or equivalent qualification obtained by the candidate must involve a minimum three years of education after completing Higher Secondary (10+2) or equivalent. Candidates appearing for the Bachelor’s final year examination must complete all the requirements for obtaining Bachelor’s Degree by 30 June 2018 and must show the evidence to that effect latest by 1 October 2018 may also apply. The candidate must have secured at least 50% marks or equivalent CGPA in both Class 10 and 12 along with Masters or Bachelors (4 years minimum) with at least 50% marks or equivalent CGPA in any discipline from any University incorporated by an act of the Central or State legislature in India or other educational Institutions established by an Act of Parliament or declared as Deemed University, or possesses an equivalent qualification recognized by the HRD Ministry. The candidates must have at least 2 years of work experience as on 31 December 2017. The candidates need to fill the Online Application form for MDI Gurgaon MBA Admission. MDI Gurgaon MBA Admission is applicable for both Indian Nationals and FN/NRI/PIO. Candidates can click on the following link to fill the online application for admission in MDI Gurgaon. The Application Process for both Indian Nationals and FN/NRI/PIO are given below. All the candidates need to fill the MDI MBA Application Form through Online mode only from 5 September to 24 November 2017. The candidates need to visit the official website of MDI Gurgaon and fill the online application Form by entering all the valid details. The selected candidates will have to give preferences for PGPM/PGP - HRM/PGP-IM in the month of January/ February 2018. The shortlisted candidates need to visit MDI website and selected their preference course choice. The choice once filled and saved cannot be changed further. 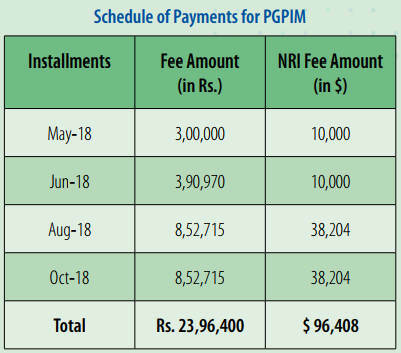 Payment of the Application Fee: The candidates need to pay the following MDI Gurgaon MBA Application Fee through Online mode that is Net Banking/Credit/Debit Card. The candidates should fill the application form by furnishing all the details correctly. The candidates need to submit the duly filled in MDI Gurgaon MBA Application Form online only. They need not submit any hard copy to the concerned authority. However, they are advised to take a print-out of the duly filled in Application Form for future use. *excluding boarding and Lodging charges. MDI Gurgaon MBA Admission for the Indian Nationals will be based on CAT scores and for the Foreign Nationals will be based on GMAT scores. The Indian Institute of Management (IIMs) will have no role in the selection process. The Candidates who have appeared in CAT 2017 will be shortlisted based on the information filled by the candidates in the application form or CAT Scores. The candidate who will be shortlisted will be called for Group Discussion and Personal Interviews during February and March 2018 at any one of the centres i.e. Bangalore, Gurgaon, Kolkata, Hyderabad, Chennai, and Mumbai. The FN/NRI/PIO candidates can be considered for admission on the basis of their valid GMAT Scores taken not before 1 January 2017, and Monday, 20 November 2017. The candidates shortlisted on the basis of their GMAT scores will be interviewed by MDI. 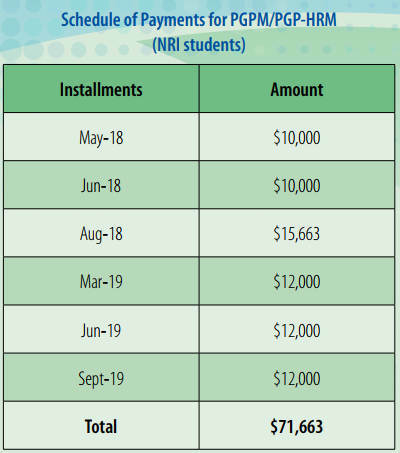 The NRI applicants who are residing in India at the time of admission process that is July-December need to appear for CAT and will not be considered for admission on the basis of their valid GMAT Scores. The admission in the MDI Gurgaon for MBA course will be done on the basis of CAT scores. The candidates will be tested for qualitative ability, data interpretation, verbal Ability and logical reasoning. Following are the three sections of CAT Exam, this article brings to you important topics that a student must cover under each section. MDI Gurgaon MBA Placement: MDI Gurgaon MBA Placement is worth mentioning for the students taking admission to the MBA Programme. MDI Placement aims to match the requirements of the Corporate World. O.P. Jindal scholarship of INR 1,50,000 for second-year students. At the end of the second year, MDI awards five merit scholarships of INR 10,000 each to the top five students. Eiffel Scholarships for students going for the dual degree programme to France. Scholarships from French Embassy in India. In addition to above Scholarships, students from time to time get scholarships/funding support.Sciences Po Lille, France would grant scholarship based on social Criteria. MDI Application Form 2018 - Registration Started!